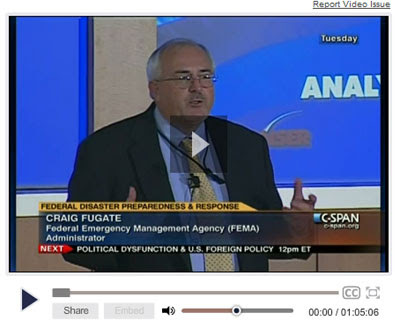 Federal Emergency Management Agency Administrator Craig Fugate talked about his agency's new "whole of community" approach to preparedness and response in federal disasters. The new approach includes engaging the entire community, including the public and private sectors, in coordinating a federal response to disasters. This August 16, 2011 talk was recorded by CSPAN. CNN, in an article leading up to Hurricane IRENE landfall, reported on data derived from HAZUS modeling of the storm to quantify expected wind damage from the storm. 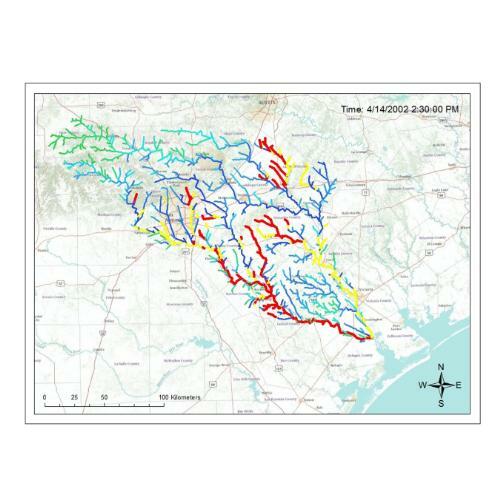 Researchers from IBM and the University of Texas at Austin have applied advanced analytics to river systems, weather and sensor data, to predict river behavior more than a hundred times the normal speed. The system simulates thousands of branches at a time. The technology has many applications including HAZUS "what if" scenarios. The USGS National Seismic Hazard Maps are the basis for seismic design provisions of building codes, insurance rate structures, earthquake loss studies, retrofit priorities, and land-use planning. Incorporating these hazard maps into designs of buildings, bridges, highways, and critical infrastructure allows these structures to withstand earthquake shaking without collapse. TheHAZUS Program is implementing an improvement in its user support processes that we’d like you to know about. While the HAZUS Helpdesk (https://support.hazus.us) is still the main source of providing HAZUS user’s with technical support, we are pleased to announce a new partnership with FEMA’s Map Information eXchange (FMIX) to provide additional telephone support. The new partnership with the FMIX will give HAZUS users the ability to speak directly with a support representative during normal business hours to follow up on Helpdesk tickets, receive assistance in using the Helpdesk, or get answers to general questions about HAZUS. The toll free phone number for HAZUS technical support (1-877-283-8789) has not changed. Starting on Monday, 8/22/11 calls to that number will be automatically redirected to the FMIX. Users can also reach the FMIX directly by calling 1-877-FEMA MAP (1-877-336-2627). FMIX hours of operation are Monday through Friday, 8:00 am until 6:30 pm Eastern Standard Time (Eastern Daylight Time). Self-service options are also available 24 hours a day, seven days a week. Follow the annual conference remotely via #hazus twitter posts. 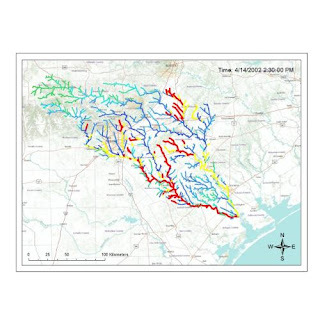 Crisis mapping tools—which combine communications technologies with a Web-based platform for analysis—can be used to organize information contributed by participants using mobile phones and other devices, and to display important updates on a live map. Crisis mapping has had a major impact recently. For example, helping to collate information and coordinate activities during the Haitian earthquake in early 2010 and the Japanese tsunami that struck earlier this year. "The Hazus program has been experiencing technical problems over the past several days with the processing of some Helpdesk tickets. We apologize if this situation has resulted in a slower than usual response to a request you may have submitted recently. The technical difficulties have now been resolved and we are working diligently to recover as quickly as possible and address any tickets that are still outstanding. Again, we are very sorry if this has caused any delays to your work and we appreciate your patience. " The Structural Engineers Association of Southern California (SEAOSC) will be hosting a major earthquake loss reduction summit on October 13, 2011 at the University of Southern California in Los Angeles, California. 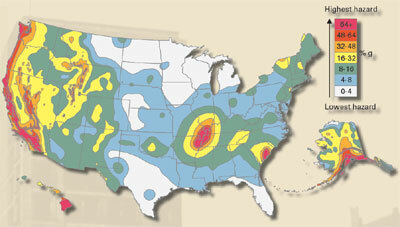 This is an annual event and is a precursor to the "Great ShakeOut" event that will be held on October 20th. As you know, there are several types of structures that are at risk and many stakeholders do not know what action can be taken to mitigate this risk.